he fire that is Fyre Festival continues to burn hot, bright, and uncontrollably. The fire extinguishers are empty, and the fire department is quite far away. It’s going to be a long uphill battle for all those involved. Fyre Festival was supposed to be an inclusive, luxurious, and expensive festival that was intended for the elite and took place at the end of April. Tickets ranged from $1,000 - $12,000, which Fyre stated that ticket buyers would receive a full refund for. The opulent festival went up in flames in the Bahamas when attendees arrived only to discover county fair-like amenities, except the county fairs had lockers with locks. 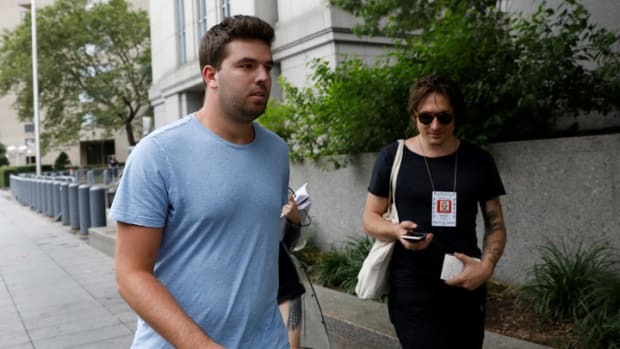 Its organizers, Billy McFarland and Ja Rule, have since amassed an impressive lineup… of lawsuits, including a $100 million class action suit for damages. Billy McFarland, the head honcho on the pitfall that is Fyre Festival, told his “employees” that they wouldn’t be receiving any payment for their time and efforts to put on the cataclysmic festival. McFarland offered roughly a dozen employees unpaid positions that they can take on to nurture Fyre Festival back to containment and to “where they might get paid again.” Fyre Media did, however, pay celebrities like Kendall Jenner, Bella Hadid, and Hailey Baldwin to market the festival. An employee that was paid in cash asked if there was any record of her employment at Fyre. Payroll came to a blinding halt back in October. Fyre then paid employees via wire transfer or cash. They all voiced an urgent simultaneous concern about their employment, and McFarland promised to address the pay stub issue in an email “today.” Another former employee stated that the email was never sent. The meeting, which audio was obtained by VICE, started on a happy note by McFarland stating, “After conferring with our counsel and all financial people, unfortunately we are not able to proceed with payroll. We’re not firing you. We’re just letting you know that there will be no payroll in the short term.” McFarland continued to state that payments can’t be made “past today.” In layman&apos;s terms: You can work for us in the upcoming days, weeks, months, but we can’t foresee us paying you right now. He also raised eyebrows and even more suspicion when he claimed that they didn’t secure funding in Fyre Media from Comcast. Almost a month down the line, the 'Fyre' is still raging with controversies galore!